Joshua Tree is one of the most popular destinations for rock climbers. Rock climbers from all over the country flock to Joshua Tree in search of the ideal route. They also seek a place among the limited number of campsites available. But if you are a novice, you need the help of a Joshua Tree rock climbing guide. Before you attempt to climb Joshua Tree’s scenic routes or solve the challenging boulders, you need to get to the place first. And you will also need a few things prepared beforehand. Campsite fee. There’s a dearth of available campsites in the park, and an equally limited amount of vehicles allowed. To help control the amount of people, the park charges a fee per vehicle. The fee at the time of writing is $25 per vehicle, which is good for 7 days from the issue of the receipt. If you plan to visit the park regularly, you can get the annual pass for $40. Ample water. If you plan on staying for more than a day, you should bring several full water containers. Water is not readily available in the park. The climate can be particularly warm most days of the year. There is a very real risk of dehydration and heat stroke if you are not well-hydrated. Medical Supplies. Rock climbing gear is a given. But many novice rock climbers tend to forget medical or first aid supplies. We are not saying that you will get hurt in Joshua Tree Park, but we are saying that you need to be prepared if it comes to that. If you don’t have supplies or did not bring enough, there are stores down the road in Yucca Valley. Do you want expert and friendly rock climbers to help you learn the ropes? Meet Uprising Adventures’ team! 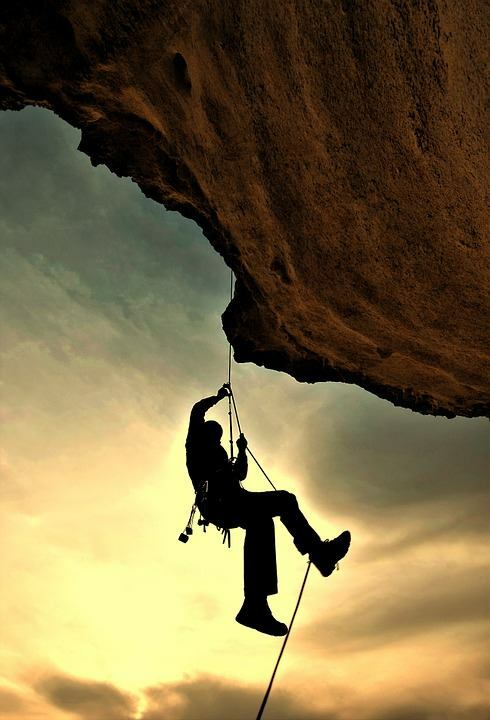 Rock climbing is one of the best physically-demanding hobbies you can adopt. And while it is accessible enough for most able-bodied individuals, it is not safe to start without a Joshua Tree climbing guide. In these cases, it is best to contact Joshua Tree Uprising and we’ll happily introduce you to one of our experienced, expert rock climbing guides and instructors. A rock climbing guide can help guide you to all the routes suitable for your skill level, and teach you proper rock climbing techniques. Learning from a trained joshua tree rock climbing guide will help minimize the risks of injury. In fact, if you follow their cue perfectly, there is no need to fear any potential accidents as you are in safe hands.